This spacious red and white backpack has a large main zip bag and a mid compartment featuring various internal zip pockets. The easy access zip front pocket has a headphone port. The black detailing, adjustable padded shoulder straps and reinforced top carry handle give the bag a stylish look whilst providing all the functionality you need. The item sports the V-Power branding. Card holder made from genuine decommissioned red British fire-hose with the lining made from reclaimed military-grade parachute silk. It has a slimline and lightweight design and is presented in a reclaimed printing blanket pouch. The item is handmade with stitched edges. Water resistant, wipe-clean and vegan. New Ferrari 2018 backpack featuring a red horizontal zipped front pocket with silicone Ferrari badge, side mesh pocket on the left with normal pocket on the right and internal laptop compartment. Top carry hold-all, padded back detail and adjustable shoulder straps for extra comfort with black plastic buckles. 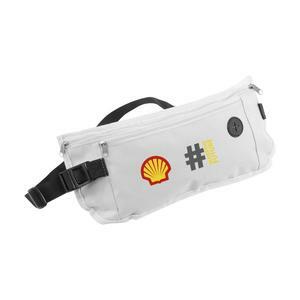 Shell logo on left-side panel.